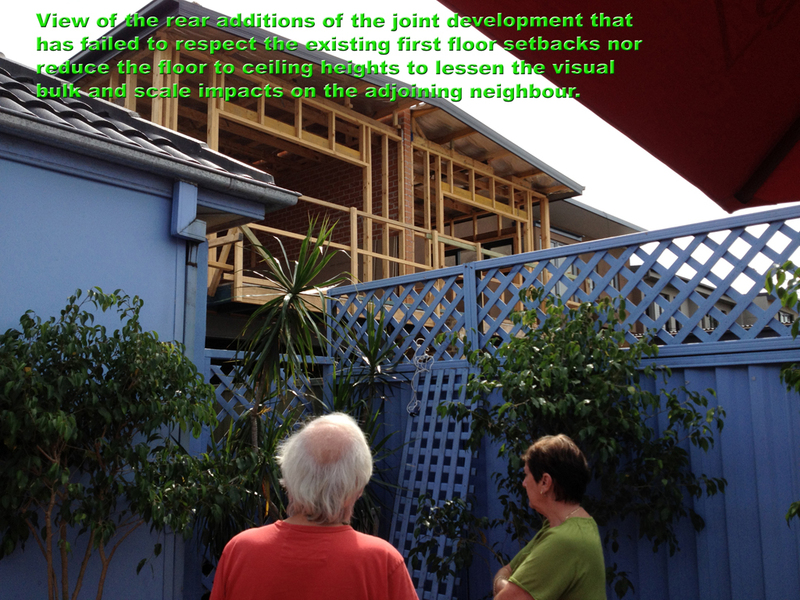 I had an onsite meeting with Councillor McInerney regarding the overshadowing issue at number 272 Belmont Street, Alexandria. A few things arose during this meeting that I think ARAG members need to be aware of. Basically the following covers the DA process, h ow it now works and how you should proceed it you object to a DA near you. Under delegated authority a single planner is allocated responsibility for evaluating all DAs under a set dollar value. 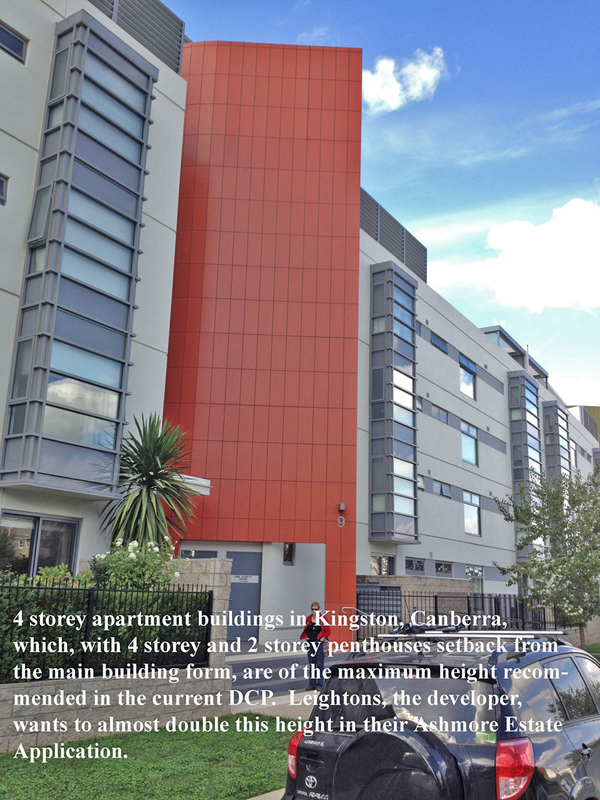 The planner alone decides whether or not an alteration/addition complies with the DCP & LEP. The Draft DCP is a supposed to be a consideration for this process, but it seems to have more weight than the old South Sydney DCP, which is in fact the current control document. It will be repealed once the Draft DCP is Gazetted/approved by the State Government. In previous years a DA would automatically go before a meeting of full council for their consideration. This is no longer the case, but all is not lost and you need to be aware of your rights, because the planners, in Counciller McInerney’s own words, ‘are not required under law to inform you of them,’ so they don’t. If you’re getting a picture of a power hungry planning department, you’re probably on the right track. You need to raise your objection with all Councillors not just the planner or the planning department. Make sure you tell the planner that you want the DA looked at by Councillors for consideration as this takes the power for approval out of their hands – confirm this by email and/or letter. It is your right to raise an objection with Council representatives. The planner will probably tell you that ‘it won’t go before council;’ it can, but only if you insist that it does. Make sure to send a confirmation email covering your telephone conversation with any planner or put it in writing. You need to create a paper trail as ‘he said she said’ arguments don’t hold water in the eyes of the law. I guess you have to balance your loss of amenity against a few hours writing to people. Contact all Councillors about the DA as soon as as your notified of a DA that you object to and include the site address and DA number. Always, always, always keep printed copies of all correspondence with council as they are essential should a council staff member deny having said something to you over the phone. This is the main reason why you should send a confirmation email after any discussion. If the building looks too high on the drawings then it probably is. It is a requirement that adjoining properties on either side be shown on the drawings in order to establish the size and scale (bulk) of the development. If you don’t understand the drawings talk to somebody who does. Bulk can be controlled by reducing floor to ceiling heights to 2.4m and overshadowing through the use of skillion roofs. It’s common for designers to use existing ceiling heights throughout a new extension, but this will only disadvantage you. 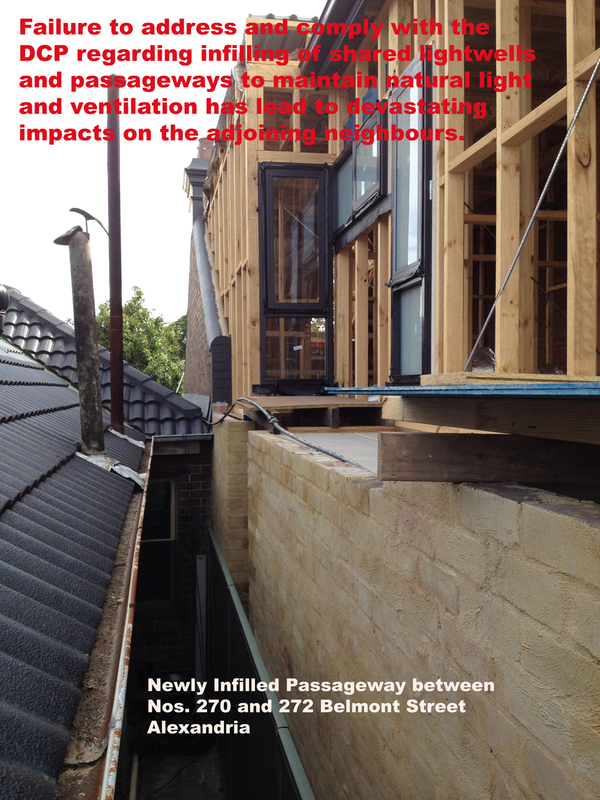 The overall height of a two storey extension can easily be reduced by 1m through height controls, but planners seldom point this out to a developer and the DCP has no provisions to control heights other than that of the existing ridge. Always get the council/planners contacts details (full name and direct number). Record the time and date you made the call. You may need this in the event of a dispute over who said what. Windows opposite each other on opposite sides of a light well are a no no. If you don’t understand the drawings or what’s proposed get professional advice as the small up front cost may save you thousands rectifying a planners errors. Shadow diagrams are a great source of misleading information and should always be looked at with suspicion. Sunlight and shading is a technical subject and it’s a job that should be done by somebody who knows what they are doing. The old South Sydney DCP called the person responsible for creating shadow diagrams a ‘qualified person,’ but the new DCP says nothing about this at all. It may well be that they meant an architect, but that’s not clear. Once the DA is approved and a construction certificate is issued for a building, it’s basically all over and you cannot get the decision reversed. Construction Certificate drawings are more detailed than DA drawings and need to reflect the basic structure of the building. They are not the same as the DA drawings and you should ask the certifying authority if you can have, or view, a copy of them before the construction Certificate is issued. The construction certificate drawings for 270 Belmont Street were identical to the DA drawings, which is simply unacceptable. The Draft DCP proposes developers may be required to have a lighting analysis done. This is a job for a professional not a drafting company, which is the service most commonly used by developers. If you’re going to be overshadowed then it’s worth while asking that this be done. DA approval is happening at a much faster rate these days and time is very short once you lodge an objection. My advice is, don’t wait to hear back from the planner before contacting Councillors, because the planner may have made their decision by the time you hear back from them – contact them immediately. Planners are often paid a bonus based on their throughput, so there is a financial incentive to approve DA’s quickly. Professional advice isn’t free, but that small up front fee and the advice you get, may save you a lot of heartache and costs. The only solution for the owners of number 272 Belmont Street is to have high quality Velux windows installed at a cost of over $8,000 and probably closer to $10,000. Given proper advice at the outset this could have been completely avoided, but possibly like you, the owners relied on a planning system that has changed beyond all recognition over the past few years. 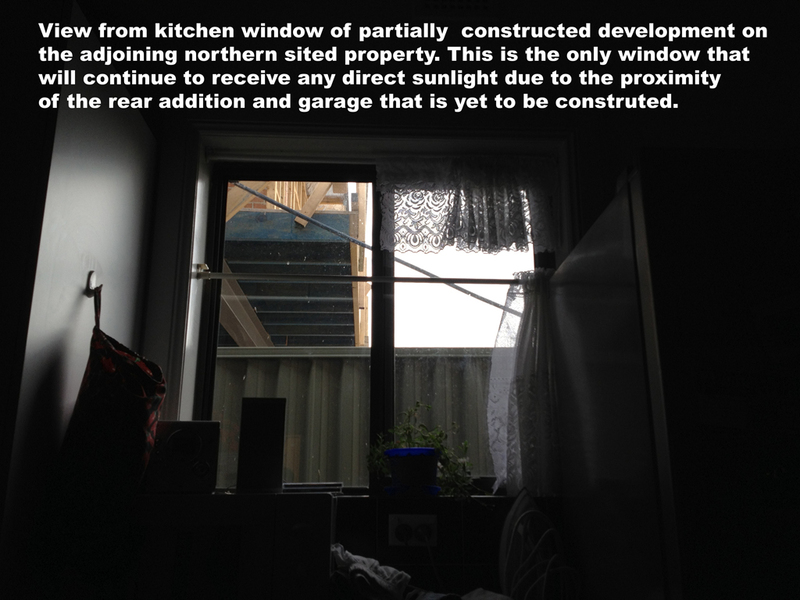 They thought they understood the process as the owner of the property is an ex South Sydney Alderman. Sadly the game has changed and planners evaluate whats on the paper in front of them very quickly; they are not really concerned with doing the right thing by you and all to frequently won’t. If you have enough spare cash you may want to take the matter to the Land & Environment Court, but you must do so within 6 months of the DA being approved – after that period of recently legislated time, you’re too late. Alexandria to the south of the Park. Although comprehensive in nature, the study missed the fundamental cause of the problem – the impact of ATP-generated commuter parking in our streets. The City of Sydney Council seemed prepared to adopt the findings and recommendations of the ATP study unchallenged until ARAG raised its voice. This document is ARAG’s detailed analysis of the ATP-sponsored parking study and is our response to the errors and omissions in the original study. Our next meeting is 7pm, Wednesday the 9th May, at Alexandria Town Hall.